The dream of networked microphones is a reality with Ward-Beck Systems’ preMO-A1 microphone preamplifier. Combining 50 years of pre-amplifier and format conversion experience, the preMO-A1 is the convergence of analog audio, digital conversion, and IP based networking. 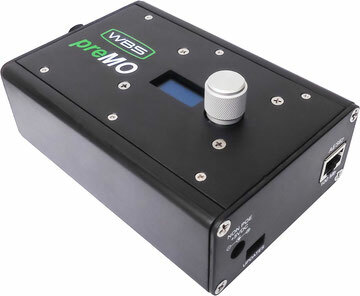 Designed with input from trailblazers of broadcast system engineering, the preMO-A1 is a forward-thinking AES67 (RAVENNA®) network audio device. Microphone in, multicast out.